Please allow two full working days before collecting your repeat prescription. For example requests made after 6pm, weekends or a public holiday, are actioned by the staff on the next working day, i.e ordered Saturday, next working day Monday, your prescription will be ready by Wednesday. Requests can also be made by letter, fax, phone (available 24 hours), or in person. Letters for repeat requests should enclose a stamped addressed envelope for return. Please remember it is your responsibility to ensure you order your repeat medication on time, always allow extra time for weekends and public holidays, and also in the event of postal and/or technical problems. 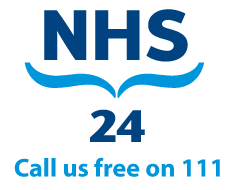 These can be left on our voice mail service, which is open 24 hours a day seven days a week please dial 0141 355 2310 and select the Prescription Request option. Please remember that requests made via the voice mail service are only processed during working hours.